ALCO Covers provides custom equipment covers for marine and offshore industries. Our covers are designed with D-rings or grommets enclosure for security purpose, they are heavy duty vinyl in nature and are ready for use after production. 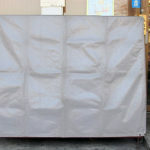 Where safety and security is a priority in equipment covers, ALCO heavy duty equipment cover is used. Our covers are also used in industries to protect delicate and quality materials, machinery and expensive equipment. 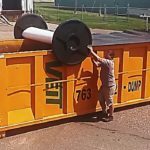 No matter how big your equipment or machinery may be, ALCO covers are ready to take the necessary measures in providing a perfect fitting cover for the equipment. Don’t you know the measurement of your equipment? Worry less, ALCO cover has got you covered just send us a picture of the equipment or schedule a meeting with us and we assure you of a cover that is suitable for your equipment. Not just an equipment cover but an ALCO Cover with durable PVC, this cover is used by the diving contractor for cold stacking assets. There are many elements of damage and in other to prevent and keep safe an equipment certain degree of management system has to be used in the production of such covers. Custom PVC Vinyl Pit Cover is another ALCO Cover design produced for fertilizer plant used to avert rain from the content. Our covers are manufactured to be user-friendly and easily installed by customers. During transit, a lot of things are considered and safety is one of them. Heavy Duty Vinyl Cover is produced to cover and protect large cranes and other equipment from a long voyage abroad. ALCO cover provides custom fitted cover for any equipment size. 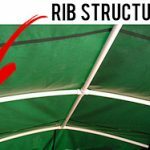 These covers are designed with lifting eyes for easy installation and removal, G-rings or Grommet for securing the structure. Welding machines are delicate and need to be covered from moisture, PVC fabric is suitable for covering welding equipment from an element of damage. Not only do the covers prevent equipment from moisture, it also provides UV protection. 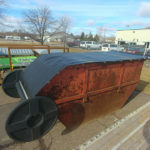 ALCO Cover will design a fitted cover for your equipment that is durable and affordable to your satisfaction, we ensure your equipment are kept safe from damage, we provide materials with easy installation removal technique. ALCO covers come in various sizes and customized in different colors to fit equipment and machines. The Open Box Cover, made with Heavy Duty PVC Vinyl materials, covers protect control from weather and increase the effective response of machines when being used. 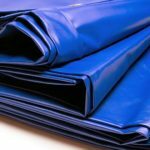 They are basically made with custom PVC vinyl covers designed for the sole purpose of covering heavy offshore equipment. 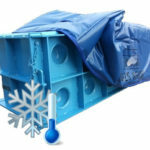 The ALCO Covers are tough to take on any equipment under any weather condition.